The relationship between a brother and a sister is always unique and extraordinary. It cannot be described in words. This immortal bond between a brother and a sister is recognized by people all around India and therefore Raksha Bandhan, the festival of siblings is celebrated every year. Siblings wait throughout the year for this day to come. This occasion is usually celebrated on the full moon day of the Hindu lunisolar calendar in the month of Shravana. On this festival, sister ties a holy band on her brother’s wrist celebrating their love for each other and praying to god to keep her brother away from harm’s way and to fill his life with happiness and peace. Brothers are always busy calling their sister’s embarrassing names to be it inside the house or outside in front of others. This love-hate relationship between two siblings is something that will never fade away. He is always there when you need him, always ready to stand beside you when you fight your own battles. But not all siblings stay in the same house or city or even in the same country due to work life. Back in those days when there was no other way to connect with your brothers and sisters staying outside except phone calls and letters, many sisters and brothers celebrated Raksha Bandhan alone thinking of the sweet memories they had lived together. But with the advent of modern technology and science, telling your brother on the day of Raksha Bandhan that you miss him has become possible. Now you can deliver rakhis to your brother anywhere in the world. Be it another city in the same country or some other country altogether. Now conveying your love and affection to your brother has become so much easier. Just by sitting at home you can send Rakhi to India with a click of a mouse. Sisters living in India can send Rakhis to there not so perfect brothers staying in other countries like the USA easily. Rakhis are delivered to their location hassle-free. If you want you can add personalized messages or Rakhi gift cards with your Rakhis with the option of express Rakhi delivery it reaches your destination just within a few days. 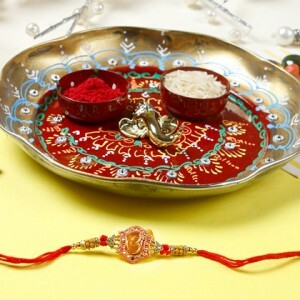 Choose from thousands of Designs the perfect Rakhi for your brother. Buying rakhis hopping from one shop to another has become cliché. The online store offers you a selection from a wide range of Rakhis. Have them delivered at your place in a jiffy. Celebrate Raksha Bandhan with your go-to the person with https://www.rakhi.in/ where you get to choose from thousands of designs the perfect Rakhi for your dear brother. Rakhi provides you with an opportunity to personalize your Rakhi as well as a gift card. So celebrate Raksha Bandhan this year with Rakhi. 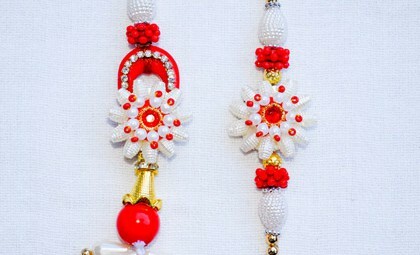 How Designer Rakhi Has Taken Over The Traditional Designs?